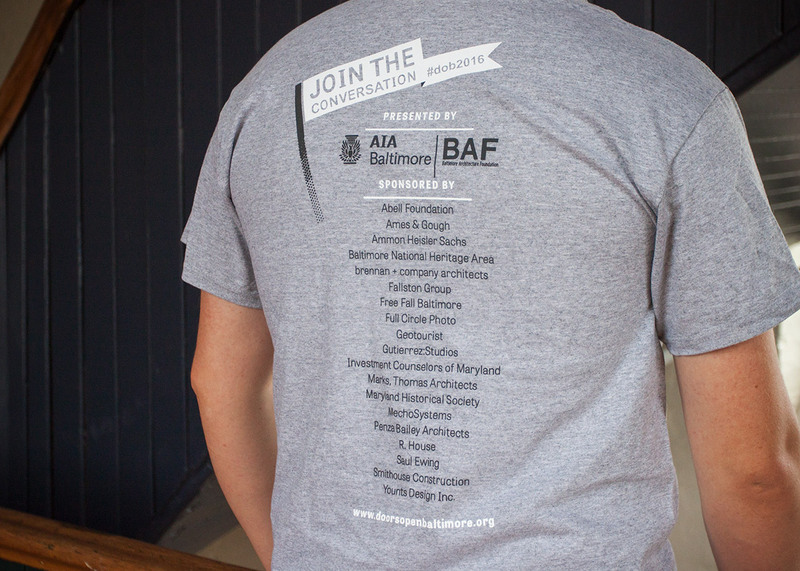 Doors Open Baltimore is an annual event created in part by the Baltimore Architecture Foundation and AIA Baltimore. 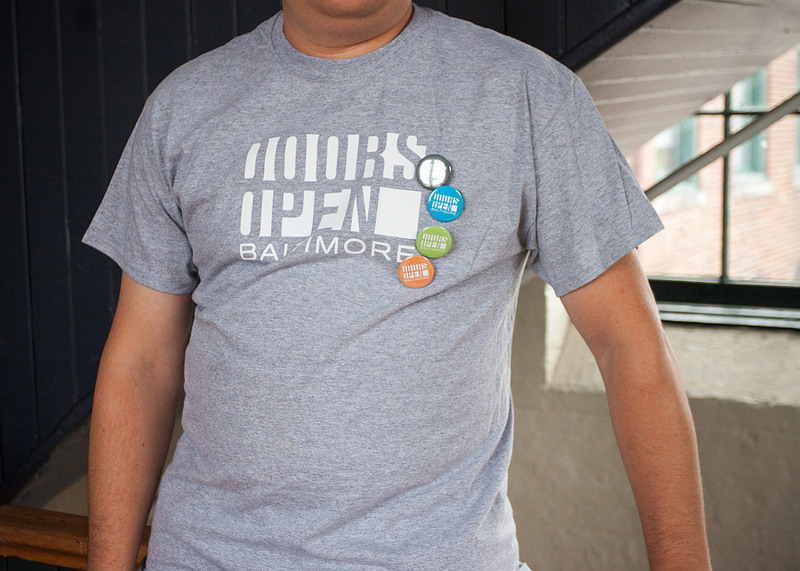 Doors Open is a chance for locals and visitors alike to visit architectural gems often passed but rarely visited around Baltimore. 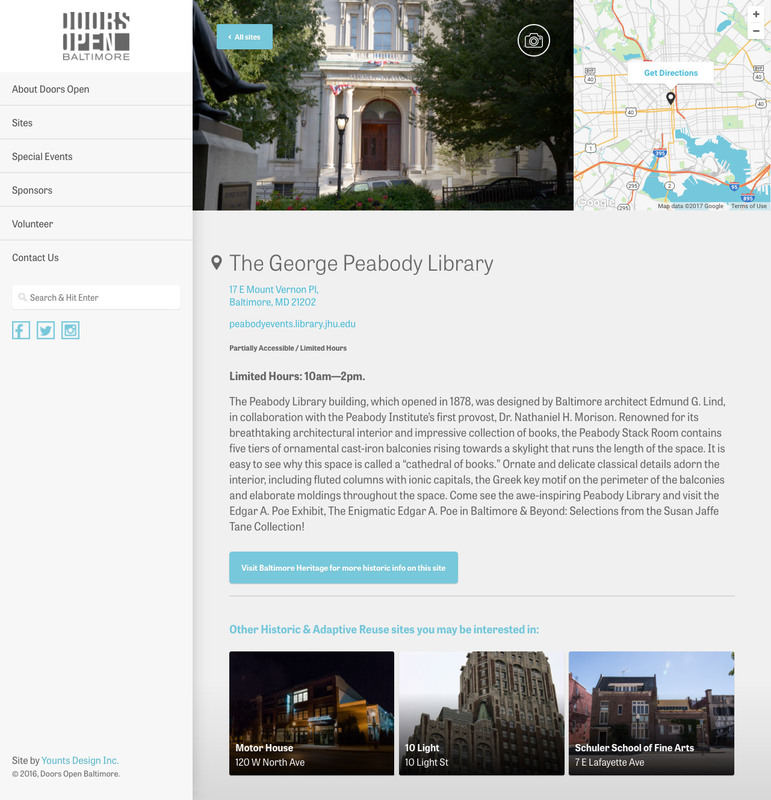 Coming into their fourth year, Doors Open not only offers site visits, but events such as walking and biking tours, talks, and children’s activities. 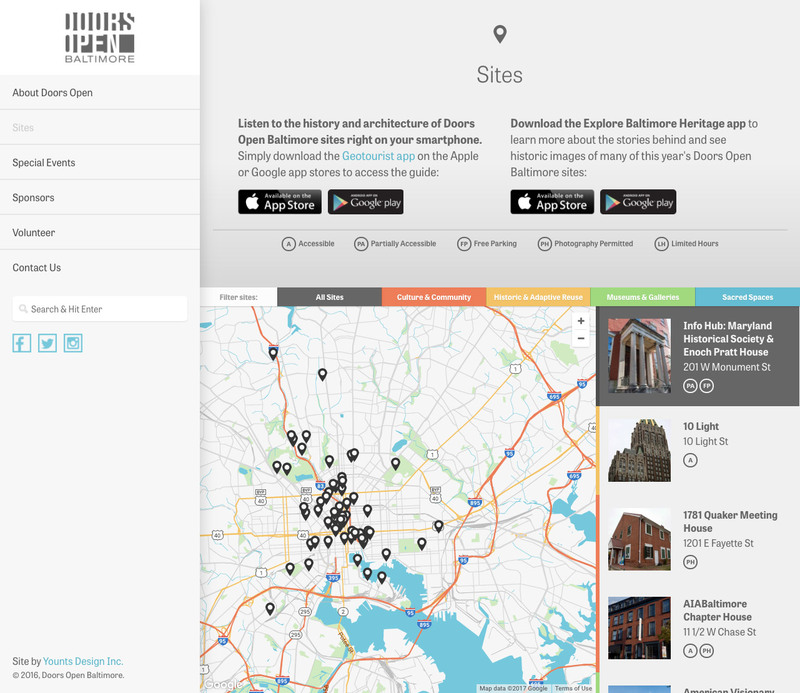 AIA Baltimore and Baltimore Architecture Foundation brought on YDI in Doors Open Baltimore’s planning stages. Starting with a blank canvas, YDI created a brand that could easily evolve, allowing Doors Open to constantly change up the look and theme for each year. With color palettes and graphic styles changing each year, it was important to keep consistency with the logo and typography, so as to ground the event. 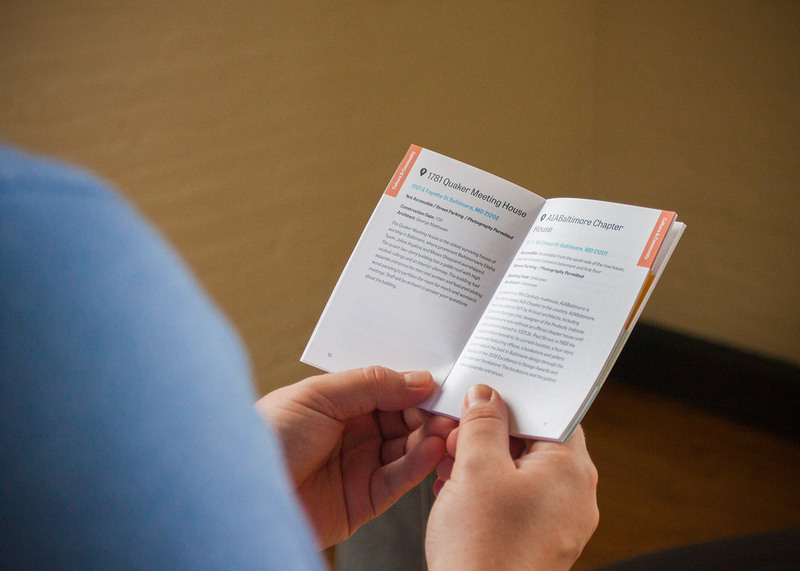 Printed and promotional materials were needed for Doors Open, and were designed to build off the branding and style for each year. 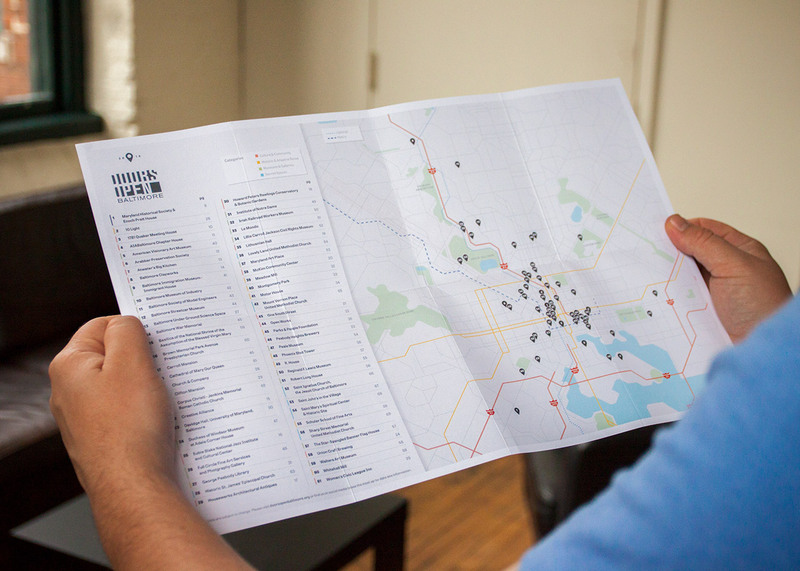 LED billboard ads, printed guides and maps, and volunteer t-shirts were all created to spread the word and help people find their way around the event. 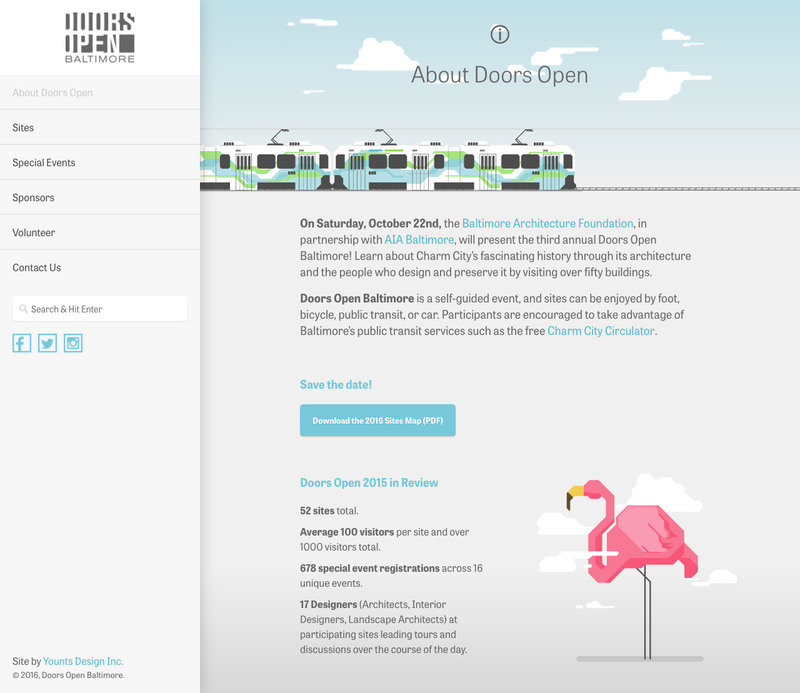 Doors Open’s website is the central hub for information regarding the event, including sites to visit, events being held, and information on volunteering and the organizing sponsors. 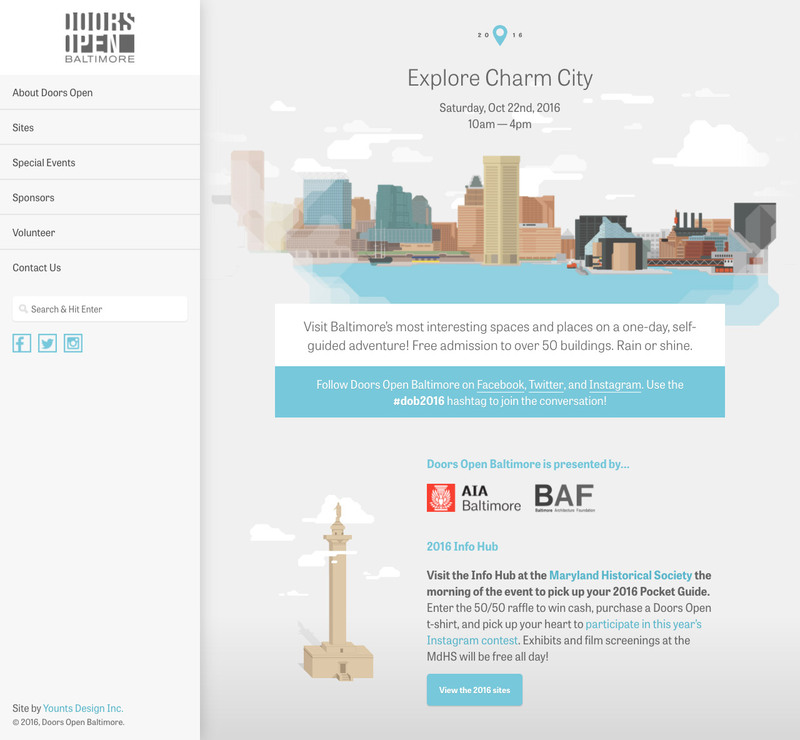 Each year has seen a new design for the event’s website, allowing the brand and style of the event to evolve and draw interest. 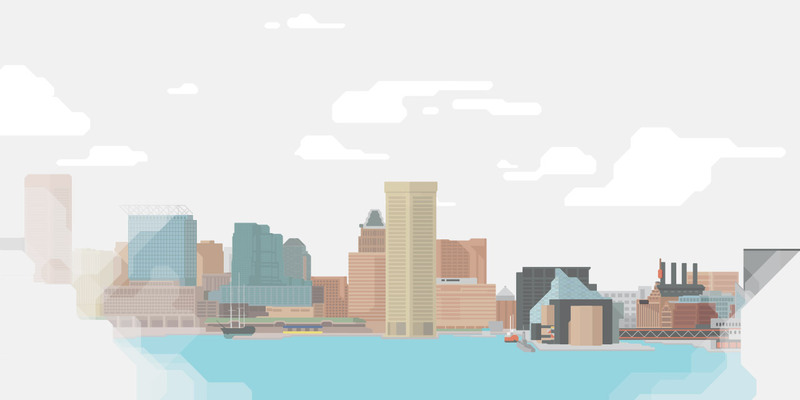 The 2016 homepage utilizes stylized illustrations of the Baltimore skyline, iconic landmarks and symbols of the city.